Every Labor Day weekend, Lummi Island hosts an Artist Studio Tour to celebrate the work of Island artists and craftspeople. REC Retreats will open the studio and the house to those curious about our programs and facilities. The Saturday Market closes after this weekend for another year. The Beach Store Café beer garden is still open to the public, with music on Friday night. Both wine galleries are open for tastings. Bikes are still available to rent. If a trip to the island has been on your to-do list, this is absolutely the time! More than 40 artists participate in the tour, and this fall, REC Retreats is pleased to host many of them. Visit multiple artists under one roof! REC Retreats studio and house will be open for tours. Are you planning to teach classes or lead a weekend retreat in the future? Come explore the facilities and ask questions! 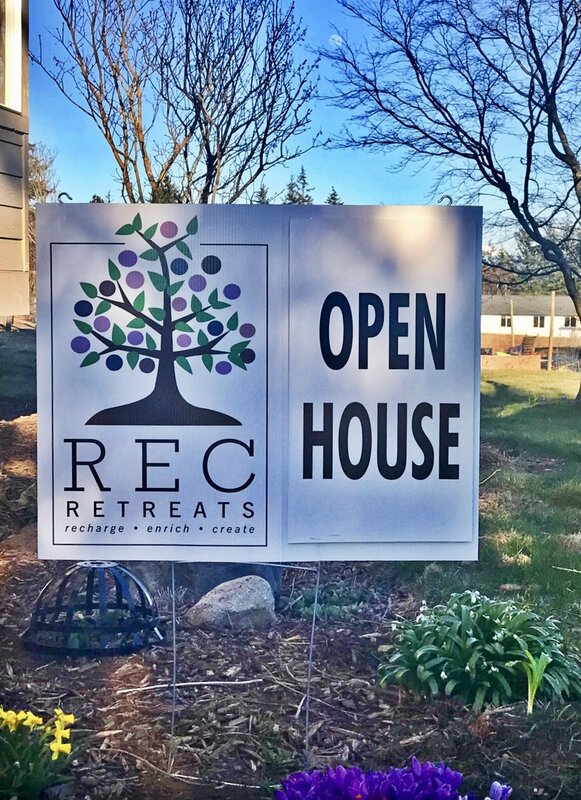 Do you want to attend an event at REC Retreats? Come check out the huge studio and deluxe overnight facilities - you may find it irresistible. All visitors receive a special discount on future events! There is no admission for this event - pick up tour maps at REC Retreats or the Islander.